Dr. Mohammad Mazher Idriss LLB (Hons), LLM, Cert. Ed., PhD. is Senior Lecturer in Law at Manchester Metropolitan University. 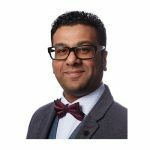 His main research interests lie within domestic abuse, ‘honour’-based violence and forced marriages for both men and women. He recently completed his PhD thesis in 2018 on ‘Honour-Based Violence in Ethnic Communities in England and Wales’, which was externally examined by Professor Lynn Welchman (of SOAS, University of London). This study focused on the views and experiences (through the process of interviews) of female survivors and key agents on intervention and provided recommendations to improve support for BME women. Journal of Criminal Law, 79(3), 198-210. He is also co-editor (with T. Abbas) of ‘Honour, Violence, Women and Islam’ (Routledge-Cavendish, 2010) and recently sent out a call for papers inviting contributors to submit papers for his forthcoming 2019 book (with T. Abbas) on ‘Men, Masculinities and ‘Honour’-Based Violence’, which seeks to raise the profile of male victimisation. Maz is also a Trustee of The Elm Foundation, a domestic abuse service that caters for both women and men (@elm_foundation).